Watching the seasons change is one of the joys of visiting Japan in the off-season. 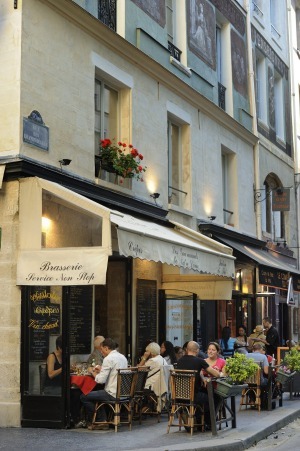 There is a lot to love about Paris in May. As the city emerges from its winter blanket and the scent of chestnut blossoms fills the air, even the simplest experiences – a stroll through a flower-filled park, or a cafe au lait at a pavement cafe table – feel slightly magical. There is a downside, of course: all those other tourists who have arrived in Paris for a spring fling of their own. "We spent three hours queuing to get in to Versailles," says Andrew Young of STA Travel, who braved Paris in the spring. "We only got to see about a third of the things we wanted to see. We literally spent six to seven hours a day just queuing." Whether you are in Paris or Peru, peak season is when a destination shows its best side. It is, of course, also when that destination is at its busiest. With tourism booming around the world, many travellers have had enough of battling their way through a throng. Instead, they are changing their plans to take advantage of low and shoulder season, when the streets are less crowded and prices, from airfares to hotels, are cheaper. "We get a lot of bookings outside peak season, particularly in shoulder months such as September and October," chief executive of Insight Vacations John Boulding says. "Australians tend to be pretty switched on travellers, and many of them get the joys of off-season travel." Those joys include more than the obvious benefits. "In much of Europe, [peak season] is when the locals take off for their own holidays," Boulding says. "The only people you will meet are other tourists. In spring and autumn, that's when you'll get to meet the locals." Low-season experiences are often just as memorable as those on offer in high season. Stockholm, for instance, is widely considered to be a city best visited in summer, when the sun shines until late in the night and the city's archipelago of islands offers all sorts of al fresco fun. Visitors who are focused on museums and dining, on the other hand, might consider heading there in winter. True, it is both colder and darker, but the city looks particularly pretty frosted with snow, and in December the streets are scented with the aromas of mulled wine and gingerbread. It is a very different experience to a summer visit, but that doesn't make it inferior. Not every destination lends itself to off-season travel, of course. "If you are after a beach holiday, there is no point going during the monsoon season," says Young, STA Travel's regional sales manager Victoria and SA. However, don't allow labels like "rainy season" to put you off without looking into local weather patterns. In some destinations, for instance, rain tends to be confined to the late afternoon and evening, leaving plenty of time for exploring. Other destinations switch off during the slow season. Capri, which suffers a deluge of tourists in summer, goes to sleep in winter, with most restaurants and boutiques closed for the season. Even in capital cities, museums and other attractions often have shorter opening hours during the off-season. However, many travellers find that a reasonable trade-off for cheaper prices and fewer crowds. As Geoff Manchester, co-founder and director of Intrepid Travel, says: "Decide what's important to you and do your own research." We asked some industry experts to share their favourite low-season destinations. From summers in Iceland to northern China during its deep freeze, their recommendations include some surprising and intriguing choices. So next time you travel, consider going off-peak and discover the path less travelled. Peak season: It's all in the name. To most people, Iceland conjures up visions of blankets of snow, massive glaciers and the Northern Lights. Tourists flock here in winter not despite its harsh conditions, but because of them. 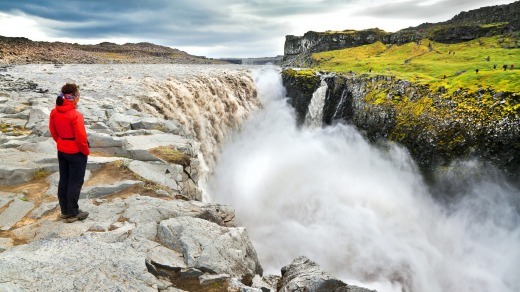 Off season: Summer in Iceland is different but no less dramatic, says Matt Cameron-Smith, managing director of Trafalgar Tours Australia. "The island is much more accessible; you can see so much more," he says. That makes summer a great time to explore Iceland's fiords and lakes, its startling rock formations and black sand beaches. "We have an itinerary that circumnavigates the entire island; you just can't do that in winter," Cameron-Smith says. Mythbuster: In summer, Iceland could be rechristened Greenland. "When the snow melts and the sun shines 24 hours a day, the plants take off. The amount of greenery and blossoms is incredible," Cameron-Smith says. Peak season: "There is so much to see in rural France," Boulding says. "It has a lovely blend of beautiful landscapes and town and villages with centuries of history." Unfortunately, the secret is well and truly out: during the summer peak, the countryside is packed with visitors. Off season: Spring and autumn are not just good times to skip the crowds, they are also lovely times to travel. "The spring blooms bring all this colour in; in autumn, the colours of the leaves are tremendous," Boulding says. Depending on your location, you might traverse rolling hills or ancient forests, visit grand chateaus or forbidding fortresses, discover prehistoric cave paintings or simply stroll through a centuries-old weekly market in a pretty medieval village. Mythbuster: It will probably be warmer than you think. "Certainly in the south, temperatures are lovely from April to October; you will definitely be able to sit in those charming sidewalk cafes," Boulding says. Iceland is surprisingly green in summer. Peak season: "Interest in Japan is at an all-time high for us," Cameron-Smith says. He loves the country's blend of beautiful landscapes, modern cities and ancient traditions. "There is so much art and ceremony behind so many things in Japanese culture; it is fascinating," he says. Spring and summer are the most popular seasons to visit. 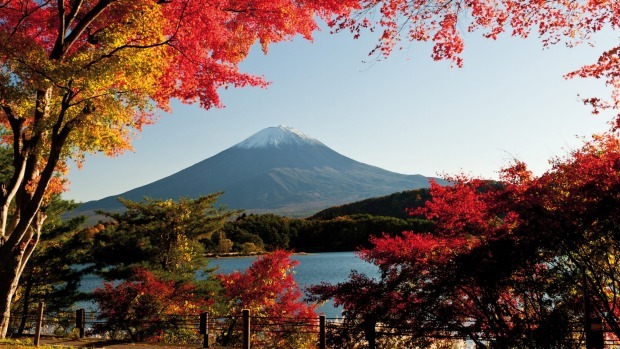 Off season: Japan in autumn and winter has its own appeal, Cameron-Smith says. "In autumn, the chrysanthemums are in bloom; in winter, Mount Fuji covered in snow is quite spectacular." Whether you want to visit castles or learn how to make sushi, most activities are available year-round. And given Japanese cuisine's intense seasonality, every season showcases different flavours. Mythbuster: Japan is cheaper than you think, Cameron-Smith says. "Food is reasonably priced and plentiful, and there are lots of free things you can do, such as visiting traditional craft markets." Peak season: "Let the good times roll" is New Orleans' unofficial motto, so it's no surprise that summer here is one big party. In the birthplace of jazz, revellers in Bourbon Street spend the balmy nights sipping frozen daiquiris and strolling from one live performance to the next. Off season: "If you come between September and January or March and May, you will find the city is a lot less crowded," Young says. That doesn't mean the party vibe has disappeared; the city likes to boast it hosts a festival or parade every week. 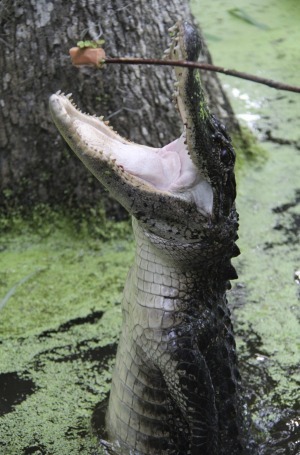 Take the time to explore some of the many attractions in and around New Orleans, from visiting old plantation homes to alligator swamp tours. 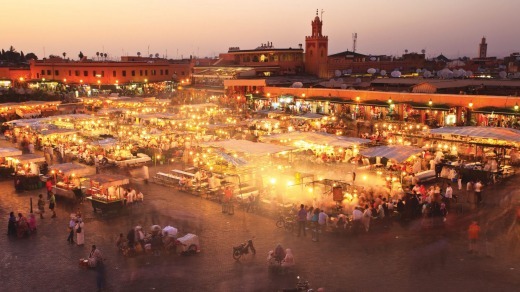 There are fewer crowds at Jemaa el-Fnaa in Marrakech during winter. Mythbuster: This is one of the rare destinations where the weather is actually better in the off-season. "Summer can be too hot and humid for many people, and the hurricane season starts in June," Young says. Try this: G Adventures' nine-day Highlights of the Deep South spends several days in New Orleans, along with other southern towns, including Savannah and Charleston. From $1999, see gadventures.com.au. 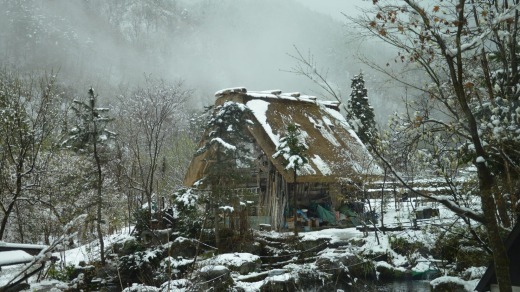 Snow-covered landscapes make Japan an appealing winter destination. Peak season: With its crystal-clear waters and sun-drenched islands, Greece is one of Europe's favourite playgrounds, so it's no surprise that prices soar during summer. "June and July are the peak months," says Sally Sylvester, NSW area leader for Flight Centre. Off season: There is plenty to see and do beyond the beach in this culturally-rich country. "The black sands of Santorini are a highlight, regardless of the time of year, and then there is all the history and culture," Sylvester says. 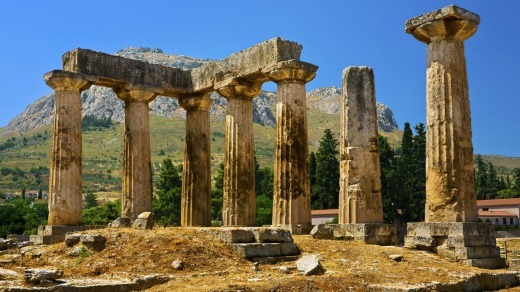 You don't even need to head out to the islands; fascinating mainland destinations include the clifftop monasteries at Meteora and ancient sites such as Olympia and Corinth. Mythbuster: While winters can be cold, the months either side of peak season are very pleasant. "The temperature only changes by a couple of degrees," says Sylvester. Southern France's off-season weather is milder than you might expect. Try this: Flight Centre offers return flights to Athens from $1699, with a three-night package at the Athenian Callirhoe Hotel, from $275 a person twin share, including breakfast. See flightcentre.com.au. Peak season: "China has a huge domestic tourism market," Manchester says. So travel peaks around holidays such as Chinese New Year, as well as during temperate months such as October. However, with China's growing middle class excited about exploring the country, key sites are crowded for much of the year. Off season: If you want to walk the Great Wall without the crowds, and you can handle the cold, winter is the time to go. 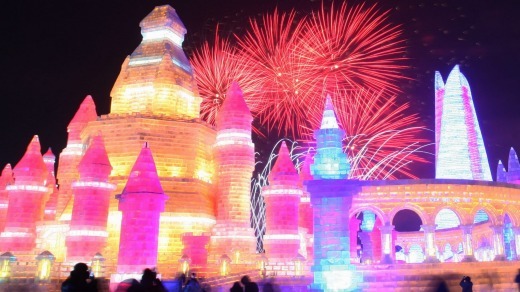 The temperatures may be extreme, but events such as the Harbin Ice Festival make the trip worthwhile. "It's an amazing sight; they create a whole city out of ice carvings," Manchester says. You will need to rug up, as temperatures can drop to 35 degrees, but the experience is unforgettable. Mythbuster: If you have a low tolerance for cold, other parts of China, such as Yunnan and Sichuan, have much milder winter temperatures. Try this: Intrepid Travel's five-day Harbin Ice Festival trip includes a guided city tour and a chance to try local fare. Starts from $1565. See intrepidtravel.com. Peak season: Sun, surf and shopping are year-round attractions on Hawaii, but its peak seasons are clearly defined. "June to July, September to October and Christmas to New Year are particularly busy," Sylvester says. Off season: In a destination where temperatures remain fairly constant throughout the year, off-season travel lets you escape the crowds. "If you are in Honolulu, you can hire a car and in one hour be on a beach with no one else on it," Sylvester says. The island of Oahu, where Honolulu is, has more to offer than beaches and malls. Other activities include whale watching, trekking, or exploring Polynesian culture. Mythbuster: "Ninety-five per cent of our guests stay on Oahu, but the other islands are really worth visiting," Sylvester says. On the Big Island, for instance, active volcanoes are just one of the many attractions. Peak season: The Incan city atop an Andean peak is one of the world's most unforgettable destinations, Manchester says. "It's comparable to Angkor Wat in its scale and age, but it has this added element of its remoteness," he says. The crowds head here between June and August, with many choosing to reach the citadel by hiking the Inca Trail. 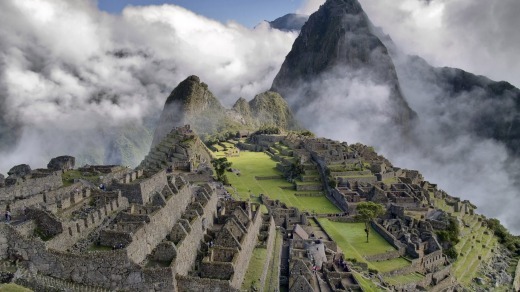 Off season: Every February, when the Inca trail is closed for maintenance, visitor numbers drop. However, there are other multi-day walks leading to Machu Picchu. Manchester recommends the Quarry Trail. "It is a lot less crowded, and it passes through local communities which the Inca Trail doesn't, so you add another layer to the experience," he says. Mythbuster: February has a reputation for being rainy, but Manchester says rain is by no means a certainty. "Weather is about luck, and you can have good or bad luck any time." Peak season: London is a summer destination, Young says. "People head here between June and August," he says. And no wonder, with events ranging from Wimbledon to the Glastonbury Festival on the calendar. Off season: There is plenty to see and do in London and beyond during the cooler months, Young says. While the country's superb museums and historic houses are always popular, Young says sports and music fans are also in for a treat. "It's a great time to see, say, Manchester United playing at Old Trafford, or catch a really good band trying out new stuff," he says. Mythbuster: Northern England and Scotland aren't necessarily no-go zones once summer ends. Well into autumn, the weather can be surprisingly mild, Young says. "In the UK, you never know what you're going to get." Try this: Contiki's five-day London Uncovered includes visits to Stonehenge and Windsor Castle as well as London sightseeing and tickets to a West End musical. From $1375. See contiki.com. Peak season: Given the scorching summers, most visitors tend to head to Morocco during the shoulder seasons of April to May and September to October, when getting about is easier. That's important, as there is much to see in Morocco. "The country has diverse landscapes and fascinating history," Boulding says. "The Moors who conquered Spain were Moroccans, and their deep culture is everywhere; then you have the Berber people and many other influences." Off season: Boulding is a big fan of Morocco in winter. "You get to appreciate the many landscapes," he says. "One minute you are in the snow-covered peaks of the Atlas Mountains, the next moment you are crossing the desert." Avoiding the summer crowds also adds to the experience. While people throng through Fes' Kasbah and Marrakech's Jemaa el-Fnaa in the hot months, in winter, you have these remarkable places almost to yourself. "You get a more tranquil experience, you get to experience the country as the locals do," Boulding says. Mythbuster: "Many people think Morocco shuts down in winter, but that's simply not the case," Boulder says. "You won't go there and find nothing's open." Try this: Insight Vacations' 10-day Best of Morocco takes in the Sahara Desert and the Atlas Mountains, with stops in Fes, Marrakech and the town of Ouarzazate, among others. From $2495, see insightvacations.com. You won't find many bargains, and you'll have to face the crowds, but these high-season experiences are worth the hassle. There is a reason why Rio's riotous Carnaval, which usually takes place in February, is the world's best known fiesta. Brazilians love to party, so expect plenty of music, dancing and colourful costumes. Between March and May, the entire country succumbs to sakura (cherry blossom) fever, with revellers packing the blossom-laden parks, and many companies launching cherry blossom flavoured drinks and snacks. Cruise ships head to the deep south only between November and March, and for good reason. For much of the rest of the year, pack ice extends for hundreds of kilometres out to sea, the sun is seen only briefly and temperatures fall below freezing. Between July and October each year, these verdant Kenyan plains offer one of the greatest wildlife experiences on the planet. Massive numbers of migrating wildebeests are on display, along with other game including lions, hyenas, zebras and giraffes. Plenty of cities have summer festivals, but few go as all out as Edinburgh in August. It's not just the famed Edinburgh International Festival and the Fringe Festival; the calendar is packed with lesser-known events including the Book Festival and the Jazz & Blues Festival. Not every destination lends itself to low-season travel. Our experts list the places they would avoid out of season. "If you want to enjoy the countryside and the villages, you really need to go in summer," Boulding says. However, like most major cities, Glasgow and Edinburgh are lively destinations in any season. "Just too hot," Manchester says, and with temperatures regularly reaching 40 degrees, many would agree with him. The cooler winter months are a better time to explore, although nights can get chilly. "The Croatia experience everyone wants is sailing a boat along that sunny coastline," Young says. As with many coastal getaways, Croatia's charms are less appealing in winter. "Forget about walking to the pool without your thongs," Cameron-Smith says. "With temperatures climbing as high as 58 degrees, you'll scald your feet. It's stifling." The rainy season around Phuket and Khao Lak officially lasts from May to October, but that doesn't translate to constant rain. "The heaviest rain is likely in September and October, so if you're planning a beach getaway, choose a different month," Sylvester says. Sometimes, it just has to be peak season. If that's the case, bear these tips in mind. BOOK EARLY Hotel prices are always high in peak season; the earlier you book, the better value you will get. DON'T TRY TO DO TOO MUCH Everything takes more time in peak season, from queuing to get into attractions to getting served in a crowded restaurant. Be realistic about what you will get done in a day. GET UP EARLY The early morning is often the least crowded time at many sights. Make the most of it. 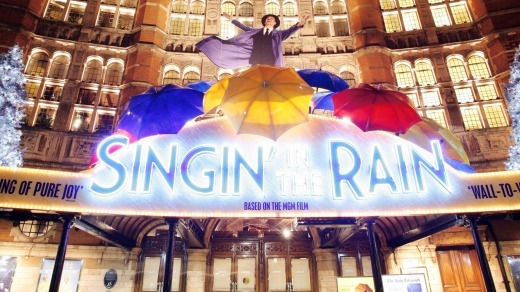 TAKE A TOUR At some popular attractions, you can literally expect to queue for hours. Signing up for a tour is one way of beating the queues. Alternatively, many attractions let you book online. STAY CALM Everything is harder in peak season, from nabbing a table in that charming restaurant to taking a snapshot without someone getting in the way. Relax. Everyone else is in the same boat.